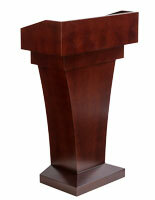 This presentation lectern is a full-size 48" tall podium made of durable plywood with a red mahogany veneer overlay. 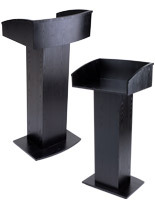 The elegant reading fixture has a stylish square pedestal for a unique, modern look that will complement any environment. 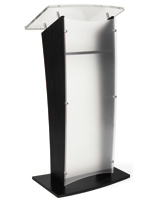 This pulipit-style lectern offers a flat reading surface that is recessed to hide notes, tablets, or other speech materials from viewers. 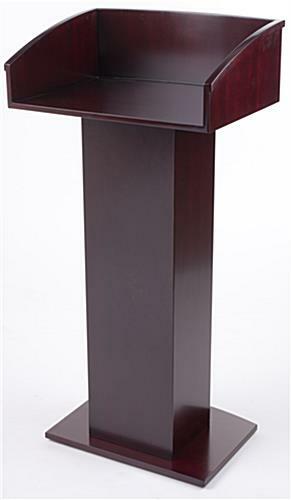 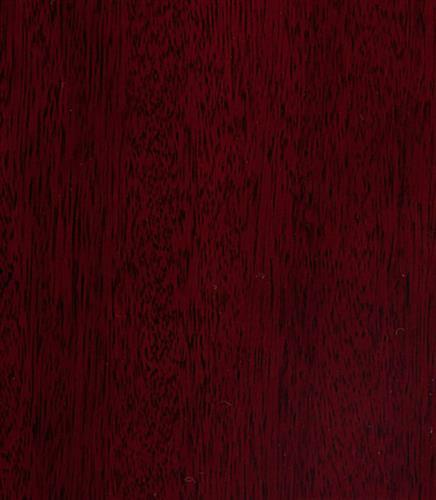 This stylish red mahogany podium's durable veneered finish gives a traditional feel to the contemporary design. 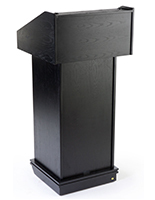 This versatile meeting-room lectern is an ideal choice for speeches, sermons, readings, debates, or notes. 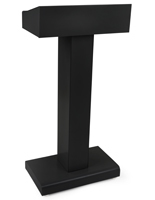 This type of speaker's furniture that combines modern functionality with a classic look is a great match for conference facilities, board rooms, universities, auditoriums, or religious organizations. 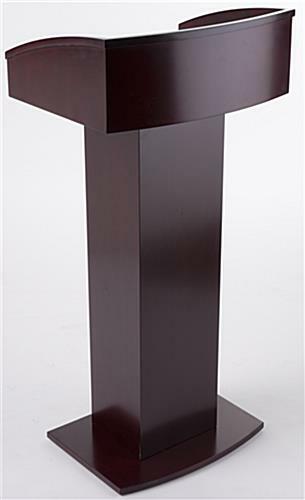 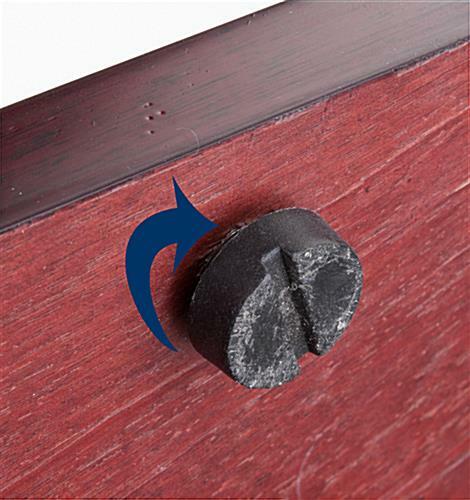 This red mahogany lectern with square pedestal base comes with adjustable rubber feet that ensure stability during use. 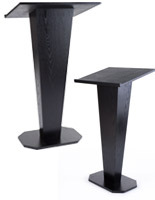 The 48" tall reading stand's recessed flat top is designed to prevent the audience from seeing meeting or speech notes, focusing attention on the speaker. 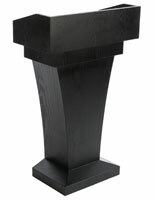 This versatile full-size wood lectern's unique design and rich finish color will complement any environment or decor. 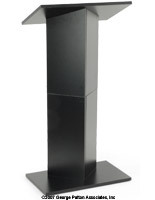 This elegant square pedesal lectern ships fully assembled and ready for use.